The feeling of being on top of the world when one overcomes the extreme sub-zero temperatures to finish 42.195km (26.2 miles) in WORLD'S COOLEST MARATHON, one of the remotest parts of the planet. 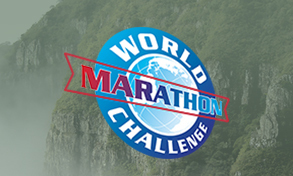 The World Marathon Challenge is an amazing logistical and physical challenge to run seven marathons on seven continents in seven days. 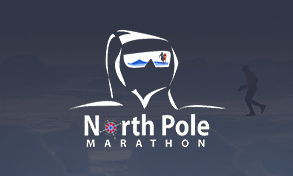 During this seven-day time period, competitors will run standard 42.2km marathon distances at Antarctica (Union Glacier), South America (Punta Arenas, Chile), North America (Miami, USA), Europe (Madrid, Spain), Africa (Marrakech, Morocco), Asia (Dubai, UAE) and Australia (Sydney). The Marathon Des Sables (Marathon of the Sands), a challenging multi-stage 250km ultramarathon held over 7 days, in one of the world's most unforgettable and inhospitable landscapes, the Sahara Desert in southern Morocco. It is ranked by the Discovery Channel as the Toughest Foot Race in the world, and is one of the ultimate tests of endurance and discipline.